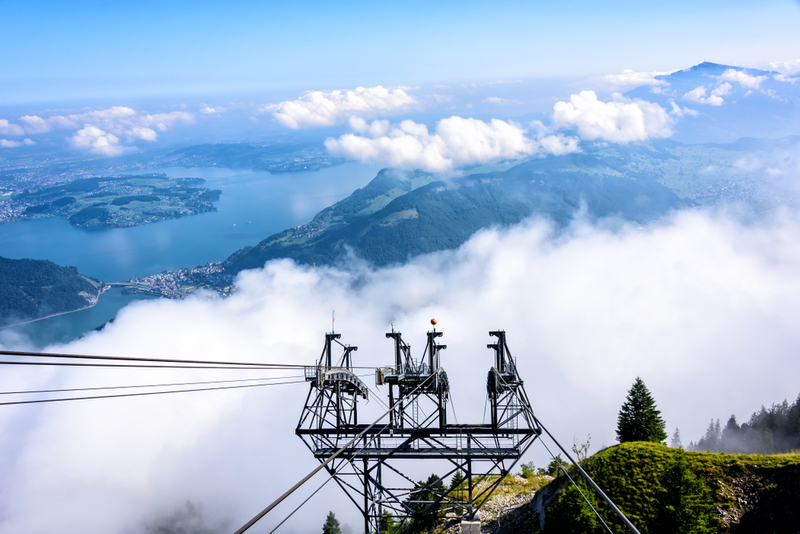 Ride on this day trip from Zurich the worlds first open-air aerial cableway. The cabin has two platforms; one inside and the outside open deck where you can breathe the fresh air of the Alps during the ride and enjoy a stunning panorama view of the Lake Lucerne. We leave Zurich around 9AM by train, and travel to the base station of the Stanserhorn aerial cable car which will take about 2 hours. Enjoy the 360° view on the 25 minutes ride with the unique open-air gondola and take amazing pictures, as there are no windows in your way. At noon we reach the summit station of Mount Stanserhorn, at 1900 meters. We can spend there up to three hours. As this is a private tour, it`s your choice how long you want to stay. A lot of time for you to enjoy the view and have a nice lunch at the Restaurant. In the afternoon we retake the open air gondola and continue by train to Lucerne where we visit the Landmark Chapel Bridge (Kapellbrücke) and do a walk through the city of Lucerne. We return to Zurich between 7 - 9 PM at the Zurich main station.